So, you’ve made a commitment to be more active, but find it hard to stick to a new routine or exercise plan. Many adults lose motivation for working out at the gym because it feels too much like work. Two of the best ways to stay motivated are to find an activity that you enjoy and develop a specific goal, or get involved with a group of people with similar interests who will motivate you to keep up your routine. 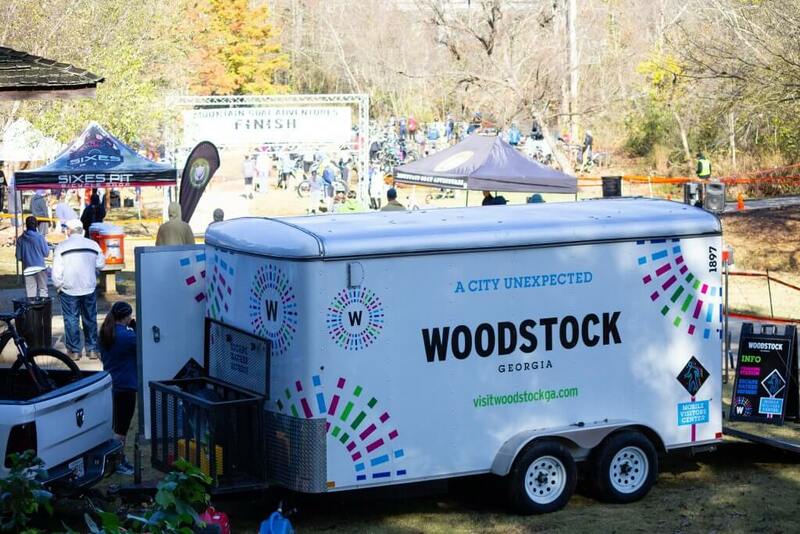 After several years as host to running and biking events, I’ve seen so many people go from never running or biking on a trail to initiating a complete lifestyle makeover after participating in their first event. It doesn’t happen overnight. Over time, these folks, who once considered themselves nonathletes, have found an enjoyable way to stay active and find camaraderie among people with similar goals. It all begins with taking the plunge and signing up for that first event. Start small, with an event that is 3 to 5 miles. Most adults can walk this distance in less than 1.5 hours, so, even if you have to walk most of the event, it’s a start, and hikers are encouraged to participate. Knowing that the event is on the horizon provides a goal, and motivation for most people to get out and practice ahead of time, especially in the colder winter months. Another tip is to sign up with a friend who has a similar goal. One of the main reasons people like to participate in organized events is for the social aspects and camaraderie. The excitement of being part of an organized event gives most people a psychological boost, and allows them to push themselves a bit harder than they could on a practice run. The top 15 percent or so of runners are focused on their result, but the other 85 percent are out to have fun, enjoy one another’s company and to push themselves beyond the practice phase. Whether you run solo or with a friend, you all can share stories of your experience afterward. We have seen participants from ages 7 to 85, so it is never too early or too late to start. www.sorbawoodstock.org for the open/closed status of the Blankets Creek and Rope Mill Park trails if it has rained recently. The scene at the 2018 Rope Mill Dirty Duathlon. Rope Mill Spring Thaw: 4-mile and 10-mile trail run at Rope Mill Park in Woodstock. Shirt and coffee mug for all 4- and 10-mile runners. Free half-mile kids 10 and under race. Fundraiser for SORBA Woodstock. 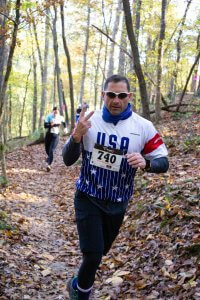 Battle of Blankets Creek: 5-mile and 10-mile trail run at Blankets Creek Trails in Canton. Shirt and event headband for all runners. Free half-mile kids 10 and under race. Fundraiser for SORBA Woodstock. Blankets Creek Dirty: 15-mile and 30-mile mountain bike race at Blankets Creek Trails in Canton. Shirt and event pint glass for all pre-registered riders. Fundraiser for SORBA Woodstock. Sutallee Trace Trail Challenge: 4.5-mile and 10-mile trail run at Boling Park in Canton. Shirt and surprise swag item for all runners. Free half-mile kids 10 and under race. Fundraiser for Boy Scout Troop 241. Assault on Garland Mountain: 10k and half-marathon trail run at Garland Mountain Horse and Hike Trails in Waleska. Shirt and surprise swag item for all runners. Free quarter-mile kids 10 and under race. Fundraiser for Friends of Garland Mountain Trails. Blankets Creek: 3- and 6-hour mountain bike race at Blankets Creek Trails in Canton. Shirt and pint glass for all pre-registered riders. Solo, 2- or 3-person teams. Fundraiser for SORBA Woodstock. Rope Mill Dirty Duathlon and 3.3-mile trail run at Rope Mill Park in Woodstock. Off-road duathlon with 5.5-mile mountain bike/3.3-mile trail run/5.5-mile mountain bike race. Shirt and coffee mug for pre-registered participants. Solo, 2- and 3-person team divisions for the duathlon. Fundraiser for SORBA Woodstock.